Photo. Richard Lane. 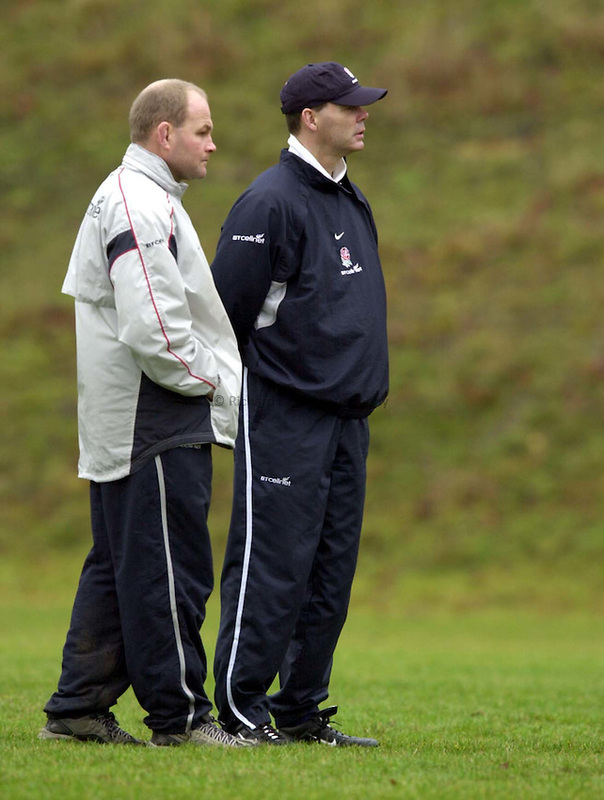 .England Squad Training at Pennyhill Hotel, Bagshot.. 30-1-2002.England assistant coach, Andy Robinson and head coach, Clive Woodward.